The latest gaggle of goggles for the 2017/18 ski season are incredibly impressive — manufacturers are working hard to ensure our life is as easy as possible on the mountains, with enhanced quick-change systems and lenses that not only adjust with the light but enhance your vision by making the most of it. Here’s our run down of just some of what’s on offer to us lucky skiers and snowboarders. Thanks to their extra-large spherical lens, Smith’s I/OX goggles offer unparalleled peripheral vision, while 5X™ anti-fog technology provides five times the fog absorption compared to anything else on the market. The goggles come with a quick-release lens change system — plus bright light and low light performance mirror lenses — so perfect for every condition. The Patented Porex™ filter prevents optical distortion during changes in elevation. The SMITH I/OX goggles also have an ultra-wide, silicone-backed strap, a floating foam membrane to eliminate pressure on the temples, and helmet and eyeglass compatible. 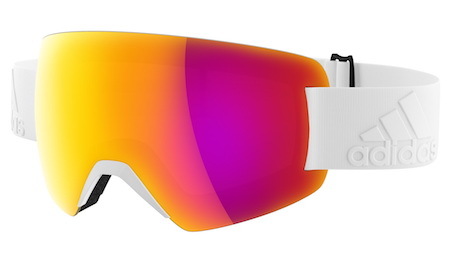 Adidas has just launched these frameless goggles which are one of the lightest in the world — at only 80 grams — and winner of the ISPO 2017/18 awards in the ski segment. The progressor splite come with Vision Advantage polycarbonate double-layer lens, available in a range of tints including a brand new LST Bright Blue Mirror lens which is new for this season. The goggles have a new climacool ventilation system with integrated rib structure which helps stop fogging, as well as a foam inner layer all built into a goggle that is hugely flexible as well as lightweight. Perfect for popping in your pocket — plus they’re compatible with prescription lenses. 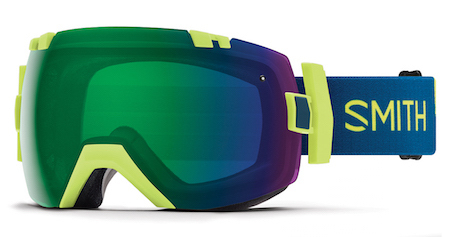 This frameless ladies goggle boasts an elegant new quick-changing lens system using four self-locating magnets and snap pins. The medium fit works well with a wide range of female faces, and the goggles come with two lenses — VIVID lenses with Optics by ZEISS, one for sunny days / all conditions and a second infrared storm/low-light lens. The EVAKTM Vent Technology and anti-fog coating help to keep moisture in check — and the plush fleece lining means you’ll never want to take it off! The men’s version of the Ella, these goggles feature Giro’s new quick-change lens system with four self-locating magnets and snap pins to keep the lens securely locked in place. The Axis features EVAKTM Vent Technology and anti-fog coating for all elements, as well as two lenses for all conditions. Inspired by the popular Line Miner series, the newest Oakley Fall Line goggle merges a large field of view with a rimless goggle. 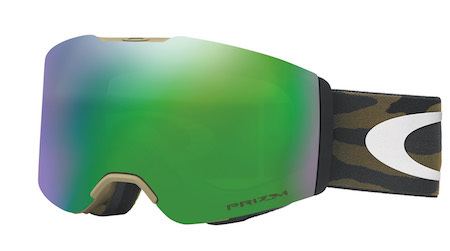 Equipped with Prizm lenses, Oakley says the Fall Line provides riders with an enhanced peripheral view for the “ultimate on-hill experience”. New this year from Dragon is an amazing colour-optimised lens technology called LUMALENS that offers ultra high-definition optics across the entire spectrum of light conditions. It really does improve visibility in all environments (see the video here), by enhancing colour vividness, contrast and precise depth perception. 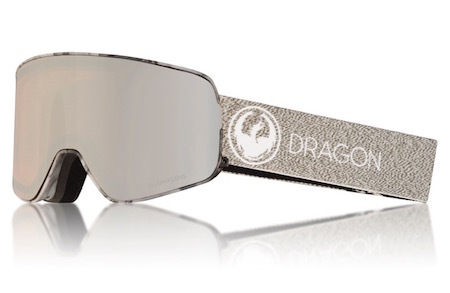 Dragon says this makes the goggles more comfortable for your eyes, and enables skiers and snowboarders to see more, react faster and perform better. LUMALENS will be available in all of Dragon’s goggles, in two lens tint options: Flash Blue (47% VLT) and Flash Green (25% VLT).